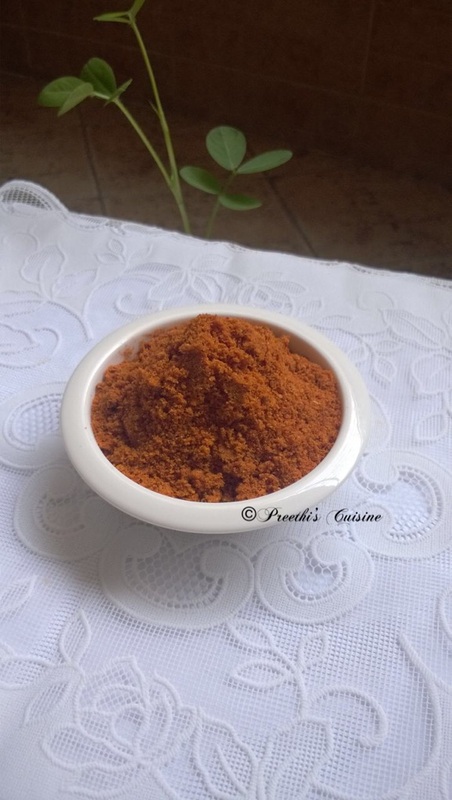 Another handy masala in my kitchen is Instant Kadhi Powder. I love it as it is easy to prepare and yummy too. I add vegetables of my choice and have it with Rotis/Chapatis. This is my mom’s recipe which will share with you today. Grind them together (raw).The powder is ready.